Are Markets Worrying Too Much? Last week, markets headed south because investors were concerned about the possibility of negative interest rates in the United States, even though the Federal reserve just began raising interest rates. 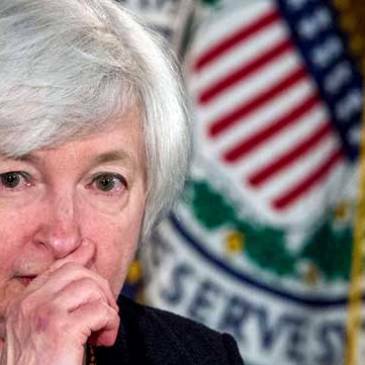 The worries appear to have taken root after the Fed chair Janet Yellen was called before the house financial services committee to testify about the current path of monetary policy. What Should Investors do if we see negative interest rates? Worried investors may want to consider their longer term goals and objectives before bailing on their investment plan. Switching investment strategies can sometimes feel like changing lanes in traffic. As soon as you move out of that lane that is at a stand still, it starts to move again. Don’t take your eye off the ball….step back, take a deep breath, and ask yourself what has changed so dramatically in your life that it would be prudent to tear up your investment plan and start over. More often than not, the best thing to do is nothing. It’s times like now that many pundits come out and call a market top. These are the same critics that have not participated in the current bull market at all. They have a vested interest in creating fear and euphoria.